I've mentioned before how important I consider thank-you notes to be. I've trained Trevor that when he opens gifts in person, he thanks the person verbally and then usually follows up with an email, phone call or thank-you note. When he opens a gift that comes in the mail, he always sends a thank-you note. For this season's thank-yous, he started by stamping both a sentiment and a background. He doesn't do a lot of stamping, so this was something different and fun for him. ... then he added Stickles to give it some sparkle. His fine motor skills have become good enough that he was able to fill in the berries nearly perfectly. Here's one of his finished cards. I love the way they turned out. So festive! As I mentioned last week, Trevor and I made many of our Christmas gifts this year. About a month ago, we set out large, empty baskets for each person on our gift list. As we made each craft, we distributed the items into the baskets. The rootbeer fans on our list got Rootbeer Reindeer. The nut lovers got bags of the pistachios that we roasted. ... and ornaments made from cinnamon sticks. ... or the white chocolate version. And finally, some homemade Butter Mints. I'll share the recipe in a future post if anyone is interested. Let me know! When I opened my box, I immediately starting thinking of my friends and family. Is there anyone, ANYONE, on my gift-giving list whose name starts with H that would inspire my project? Nope. Rats! A little behind-the-scenes info. In my job as Flamingo Four coordinator, I schedule the designers, set deadlines, and write the final post, but I don't have any input whatsoever into the four items we use each month. When my package arrives, it's as much of a surprise to me as it is to the other three. I was chatting with one of the other designers after receiving our packages and learned that she didn't have an H. Nor did she have a "Fly" card. Turns out we all had different letters and different cards, each assigned randomly. Well, it turns out that the other letters would have been so much easier for me. Double rats! Steve cut down the background board for me while I painted each of the letters a chocolate brown. While those were drying, I added a quick whitewash to the background board. I trimmed the Crate Paper to frame my piece, then punched out circles to back the O and to use as holly berries. I trimmed down the "Fly" card so that the girl's body formed a Y.
I imagined this hanging at our front door, so I used multiple coats of Outdoor Mod Podge to glue and seal each element. See how shiny? I'm really happy with how this turned out. Want to see what the other three designers did with the same four items (except easier letters than H)? Head to Flamingo Scraps to check out their projects! Yesterday I shared the soaps Trevor and I made. Today, it's Peppermint Popcorn. We began by unwrapping candy canes, putting them in a ziplock bag, and gently smashing them with the smooth side of a meat tenderizer. We melted dark chocolate and stirred in fresh-popped popcorn. We spread the chocolate-covered popcorn on a baking sheet lined with parchment and sprinkled the candy cane powder over the top. We let the chocolate set overnight. (We started this later at night than we should have. Trevor was tired, which is why he's not his usual smily self even though he was actually enjoying making this.) The next day, we added marshmallows and red/green M&M's and bagged it up. My sister loves white chocolate, so we made a different version for her. We divided our popcorn into two batches and coated one with regular white chocolate and coated the other with the leftover red candy melts from the cupcakes at Trevor's Lego party. We sprinkled the crushed candy canes over both, then let them set. We alternated adding the white and the red to the bag to give a candy cane effect. Tomorrow I'm sharing December's Flamingo Four project, but on Saturday I'll show you the rest of the homemade Christmas gifts we gave. Now that our friends and family have seen their Christmas gifts, I can finally start sharing some of the homemade gifts we gave! First up is soap. Now when I say we made soap, I don't mean that we started with raw ingredients and created soap. What I actually mean is that we took plain glycerin soap, melted it, added scents and colors, and molded it. Much, much easier. Trevor is always excited to try a new craft, but he was more eager to try this than just about anything we've ever done before. We started by practicing with some small shapes so that we could learn how much color and scent was ideal. Then we moved on to the larger bars. This bar of soap went to Trevor's teacher. Trevor made it by squeezing one drop of red, yellow and blue toward the center, then using a toothpick to drag the color outward. Each of Trevor's cousins received one of these. We filled the mold partway with melted soap, placed the coins in, then filled the remainder of the mold with soap. The coins sunk a bit, but they're still embedded within the bar. Here's some of the other soaps we made. The hearts were a perfect size to experiment with color. Tomorrow I'll share another of the homemade gifts we gave. Merry Christmas to all of you! Regardless of how (or if) you celebrate, I hope your day is filled with peace, love and joy. We are spending the morning at my parents' house (about an hour away) and will return to our own house to host Christmas dinner for Steve's family. We haven't hosted Christmas dinner since Steve and I were first married in 2004, which means Trevor has never had Christmas dinner at home. I'm glad he finally will. Trevor and I whipped up some festive napkin rings to decorate our holiday table. We started with shimmery gold cardstock to make the rings, then added a glittery star to half and holly leaves and berries to the other half. We'll alternate them around the table. As we worked, I taught Trevor a bit about why the holly and the star are symbols of Christmas. The star is a pretty easy one - the wise men followed the star of Bethlehem to lead them to the baby Jesus. Holly is an evergreen plant, symbolic of the everlasting life we have through Jesus Christ. The thorns remind us of His crown of thorns, while the red berries symbolize His blood. Last week, I announced a giveaway in honor of reaching 100,000 pageviews. I'm giving one of my lucky followers a $20 gift certificate to scrapbook.com. And that person is..... Sharon Fritchey! Congratulations! Thanks to all of you for reading my blog. Your support means a lot to me. I can't tell you how much I appreciate your kind words and comments. Merry Christmas to you all! On the last day before winter break, the 1st graders at Trevor's school had a big craft day. The kids rotated between eight stations, completing two crafts at most of the stations. Trevor's teacher opted to have the kids skip one of the planned crafts (due to lack of drying time for white glue and fears of glue gun burns) and sent the materials home instead. We changed it up a bit and made our own version. Here's Trevor's Craft Stick Reindeer. Supplies: 3 craft sticks, brown paint, craft glue, felt, scissors, brown pipe cleaner, wire snips (or scissors you don't care about), googly eyes, a red pom pom, and a paper clip or ornament hook. Begin by painting the sticks brown. Glue two sticks to form a V, then glue the third stick across the top. Let that dry. Cut a piece of brown felt that is approximately the same size as V and glue it in place. Add googly eyes and a pom pom nose. Bend the pipe cleaner into a V, then snip about 1.5 inches off each end. Twist one snipped end around each leg of the V to form the antlers. Attach the antlers. White glue will work, but I ended up reinforcing ours with the glue gun. To hang the reindeer, either open up the paper clip or use an ornament hook. Poke one end through the top of the felt and squeeze to secure it in place. Here's my finished reindeer. That's Trevor's reindeer at the top of the post. I LOVE to read. While I enjoy the occasional fiction book, my true love is nonfiction. I love biographies and memoirs. I love books that go behind-the-scenes. I love history books. I love books that teach specific skills that relate to my hobbies and interests. When I made my list of 40 Things, I wanted to set some sort of goal related to reading or learning. I wasn't quite sure what form that would take though, until last week when I was in the library happily killing time during Trevor's book club meeting. As I wandered the nonfiction stacks, it struck me that I always seemed to pull books from the same five or six areas. There were entire rows I rarely even entered. The answer came to me: Goal #35 would be a challenge I'd call Library Roulette. As soon as I got home, I posted on Facebook asking my friends to pick a number between 1 and 1000. I didn't tell them why. Immediately, the numbers started coming in. 25, then 1, then 999, then 587. Yippee! The first numbers in my Library Roulette! The numbers kept coming. After a couple dozen responses, I cut them off. That would be plenty. Wow! What a cool list! My plan was to start at 001, check the shelves, and select the most interesting sounding book in the category. I'd skip any books that weren't in English (no Slavic encyclopedias). I'd continue all the way to 999. From those, I would make a top ten that would become my Goal 35 reading list. I practically skipped into the library, I was so excited. And then I got to 001. I wasn't sure what "Knowledge" would mean, but right away I found out that it was a very interesting topic. After looking at each of the choices, I picked two books from the shelf instead of the one I'd planned. I moved on to 003 ("Systems"). There were only three 003 books on the shelf, so it was easier to choose my one and move on. I took the only 021 book ("Library Systems") but struggled to pick one favorite from the tons of books in 025 ("Library Operations"). I was actually a bit pleased to see that there weren't any Slavic encyclopedias available for checkout, so I didn't need to feel bad about ruling it out. Same with biographies in German. I moved on, selecting my 225 and 327. Then I got to 365 ("Penal and Related Institutions"). I've always been interested in prison systems and true crime (perhaps from touring Alcatraz so often as a kid). This section was also filled with all sorts of biographies and memoirs, which are my absolute favorite books. I agonized about what to pick. I sat in the aisle for at least 10 minutes choosing between these three, which all sounded SO good. At that point, I realized I needed to put back one of the 001 books. My tote was getting heavy and it was time to make a decision. And so it continued. I struggled to choose a 500 (Natural Sciences and Mathematics). I was disappointed that there wasn't a 587 (Pteridophyta). I'd had to Google that to learn that it was a fern, so it would obviously be an area where I could learn a lot. There was only one 737 (Numismatics and Sigillography). It was the first book I added to my stack that I wasn't enthusiastic to read. I continued through the stacks gathering my books. There were quite a few topics where there were no books available. In some cases, it was probably because the topic isn't in high demand around here (888 "Classical Greek Miscellaneous Writings", for example). In other cases, it was probably because someone had checked out the few books on that topic (765 "Metal Engraving"). I got the the last number, 999 ("Extraterrestrial Worlds") - nothing. Without further ado, here is my Goal 35 reading list! And here is a poorly-focused self-portrait of me starting to work on Goal 35. I'll check in occasionally with updates about my progress toward the goal. I hope you're all looking forward to learning about Knowledge, Library Relationships, and Numismatics & Sigillography and much more in the upcoming weeks! Yesterday, I blogged about the terrible customer service I got from a puzzle manufacturer. Since I believe in focusing on the positive, I want today's post to be all about the amazing craft/scrapbook companies out there who go above and beyond, each and every time. There's no question what company goes at the top of my list. It's Fiskars. Not only are Fiskars' products the best out there, but their customer service is absolutely amazing. My trimmer track wore out after YEARS of heavy-duty usage and I wanted to replace the track but couldn't find it for sale. I contacted Fiskars to ask where to get it. The answer? From them. For free. I got it two days later. I literally can't count the number of free items Fiskars has given me simply for being a part of their online community, the Fiskateers. All of it, totally and completely free. They are amazing. The next company that has impressed me over and over again is scrapbook.com. I've been a member of scrapbook.com's free message board community for years and have won dozens of prizes from them for doing little more than being a member. Every order I've placed with them has been delivered quickly and in perfect condition. There is often a free gift included. Their product videos are extremely helpful and professionally done. Next up - Making Memories. 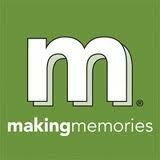 I've used Making Memories products for many years. There have been two occasions where I received defective product. Not only did they replace it cheerfully and quickly, but they threw in a "for your trouble" gift both times. Awesome. I love American Crafts products and use them often. A few years ago, I bought a packet of American Crafts photo turns and arrows that came with brads to attach them. About a third of the items had holes that were too small for the enclosed brads. I talked with Customer Service and had replacement items in my hands within days. Tombow's tape runner is my favorite adhesive. I use it constantly- enough that I buy it in bulk. Twice I've had to contact them about manufacturing defects and twice my products have been replaced quickly and cheerfully. I'll wrap this up with one more. I've been working with Suzanne at Flamingo Scraps for over two years and I know that customer service is one of her top priorities. 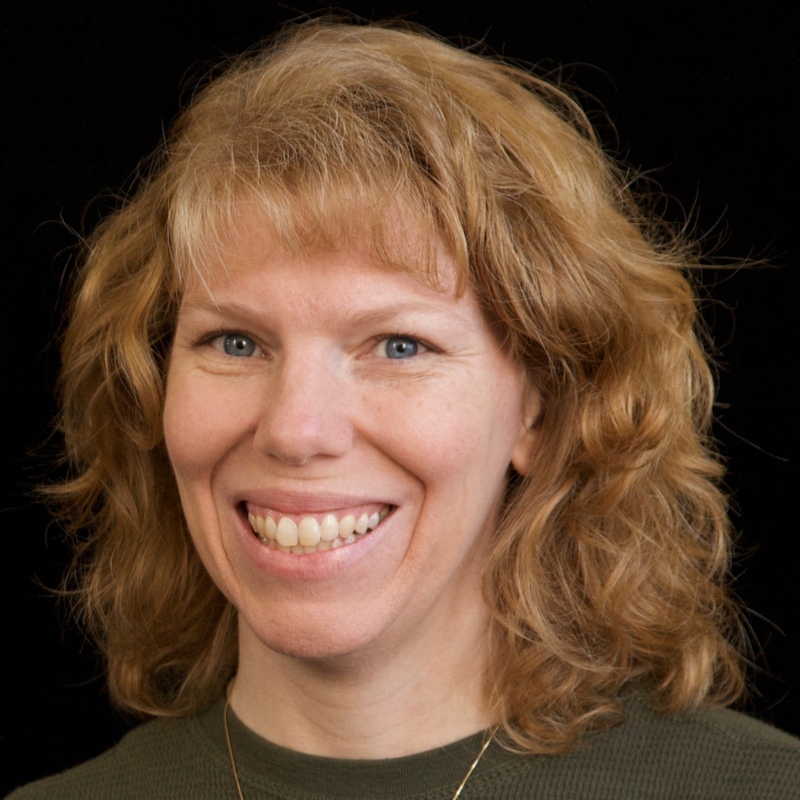 Suzanne gave each of us on the Design Team a different coupon code to share with our readers. Mine is for free shipping between now and Christmas Day. So now that you've heard about some companies that have been wonderful to me, I'd love to hear more about great customer service you've received! What scrapbook or craft companies have impressed you by going above and beyond? Let me know! Last Christmas, I bought Trevor a "Can You See What I See?" puzzle. He loves those books and he loves puzzles, so he was really excited when he unwrapped it. When he dumped out the pieces, we were both shocked by what we saw. Dozens of bent pieces. Many pieces with the picture de-laminated from the back. Pieces that looked like they'd been stepped on. This was not a cheap dollar store puzzle. It was not a thrift store find. This was a brand-new, perfectly packaged $10.99 puzzle. This was a puzzle that should have lasted for decades. Instead, it was utter garbage. I immediately contacted the manufacturer, an American company who I won't name (though I will say it begins with a C, so that no one mistakenly thinks I'm referring to any of the many awesome puzzle manufacturers). They offered to replace the puzzle. And then I didn't hear anything for over a month. I contacted them again. After 8 more weeks, the new package arrived. We opened it... um, wow. Instead of a 300 piece "Can You See What I See?" puzzle, Trevor received a 150 piece puzzle with pastel cats on it. Now, I'm sure there are school-age boys who like pastel cats, but Trevor isn't one of them. I called the company again and demanded a refund. They ignored me. I called, emailed, and mailed a copy of my email to their office. At that point, they told me that they only do wholesale, so they can't issue refunds. The store where I bought it wouldn't do a refund either. Eventually (when they realized I wasn't giving up), the company offered a replacement puzzle. Again. In May, 5 months after Trevor had opened his Christmas gift, he was finally able to do the puzzle I'd bought him. So what's my point? Well, when I finally received a satisfactory replacement puzzle, the company told me to keep the damaged puzzle. I weeded out the 80+ pieces that were completely mauled and put the remaining ones into a Christmas tub so that we could use them for crafting. Today I'm sharing our first puzzle piece craft. It's a craft fair classic. Materials: three puzzle pieces (one border with three outies, two centers with four outies each), fine-grit sandpaper, brown paint, glue, googly eyes, red pom pom, and red cord. Sand the front of each piece to remove the shiny gloss. The piece on the left has not been sanded; the one on the right is perfect. Paint the pieces brown and let them dry. It will probably take two coats. Glue the border piece on top of the two inner pieces. Add googly eyes and a pom pom nose. Glue the cord in the back between the two antler pieces. Here it is, hanging on the tree. I love our finished reindeer. At least some good came from one of the worst customer service experiences of my life! Nothing better than soup on a cold winter's day, right? I've shared a corn chowder recipe before - one that started with boiling corn cobs. (You can find it here.) That soup was delicious. Here's a different corn chowder for those times you don't have fresh corn on the cob. This thick, rich, satisfying soup uses canned corn. It was inspired by a recipe by Leann Mendez that was printed in the Sacramento Bee a decade or so ago, but (as usual) my version bears little resemblance to the original. In a large pot, melt 1 T. butter over medium heat. Add carrots, celery, and onion, stirring until slightly softened. Add water and bring to a boil. Stir in potatoes. Cover and simmer 20 minutes or until potatoes are tender. While the potatoes are cooking, make a white sauce by melting remaining 6 T. butter in a small saucepan over low heat. Mix in flour and cook 1 minute, stirring constantly. Add pepper and salt. Whisk in milk. Bring to a low boil, stirring constantly. Remove from heat. When potatoes are soft, add canned corn (including any liquid) to the vegetables. Add white sauce to vegetables and heat through. The soup is delicious as is, or you can garnish it with grated cheese, bacon, or both.